Web dynos: receive HTTP traffic from routers and typically run web servers. Worker dynos: execute anything else, such as background jobs, queuing systems, and timed jobs. One-off dynos: are temporary and not part of an ongoing dyno formation. They run short-lived commands, possibly attached to a local terminal, and are typically used to handle administrative tasks such as running a REPL shell to execute database migrations or occasional background work. Each process type can scale horizontally by increasing the number of dynos running that process, or scale vertically by increasing the size or performance of the respective dynos. When you deploy a new version of your app, the currently executing dynos are replaced with new ones, preserving the existing dyno formation. Your app may run any number of dynos in almost any configuration. The dynos are only distinguished by the fact that they run a different initial command—they all use the same stack and slug. For example, you can have multiple worker dynos, each with a different start command, in order to break your app down to execute different tasks in different dynos. You can scale each process type independently, as needed. Leveraging Worker dynos and Heroku’s powerful background processing capabilities allows Conifer to efficiently slice and dice their media files and provide curated content to their clients. 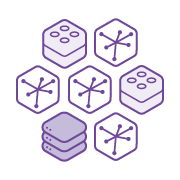 Heroku offers many different dyno types, each with different features, functionality, and pricing. Developers can choose the dyno types that best fit the resources their app will need for optimal performance. Free dynos: are ideal for experimenting in a limited sandbox. A developer with an account-based pool of free dyno hours can run one web or worker dyno that will sleep after 30 minutes of inactivity (to conserve remaining free dyno hours). Explore free services on Heroku. Hobby dynos: are perfect for small scale personal projects and hobby apps. These dynos do not sleep. For each app, developers can configure up to 10 process types, each running on one (1) Hobby dyno. For running professional projects that require easy horizontal scalability, use Standard dynos or above. Standard dynos (1x or 2x): provide simple horizontal scalability, enhanced visibility, performance, and availability for powering professional apps. Performance dynos (M or L): provide superior performance when it’s most critical for extreme-scale, high traffic apps on the Common Runtime. Private dynos (S, M, or L): available only in Heroku Private Spaces Runtime within Heroku Enterprise. Read more about how dynos work in Private Spaces. Regardless of dyno type, Heroku ensures isolation and security for all dynos using Linux containerization. 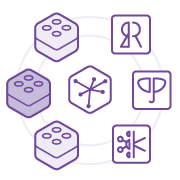 Heroku maintains a robust ecosystem of add-on services that support every state of app development and operation. A range of Heroku Add-ons provide dyno support, including Heroku Scheduler that runs scheduled jobs and Process Scheduler that helps conserve dyno hours. Because dynos do not share file state, developers often need to leverage a storage mechanism to enable communication between dynos in an app. 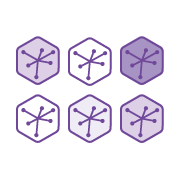 Many Heroku apps use add-on such as Heroku Redis, Heroku Postgres, or Apache Kafka on Heroku as the backing mechanism in a queue. 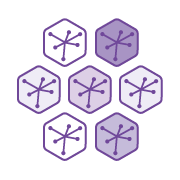 Our business has very high scalability needs, and Heroku PX Dynos are what make that possible. We're a startup with a seed investment and 2 engineers, and our team can handle traffic spikes from 0 to 500,000 visitors in a single afternoon, without any performance issues. We sleep well at night knowing Heroku has our back.